I’m pretty sure many of you’ve never heard of a brand call “HANAKO Tokyo”. 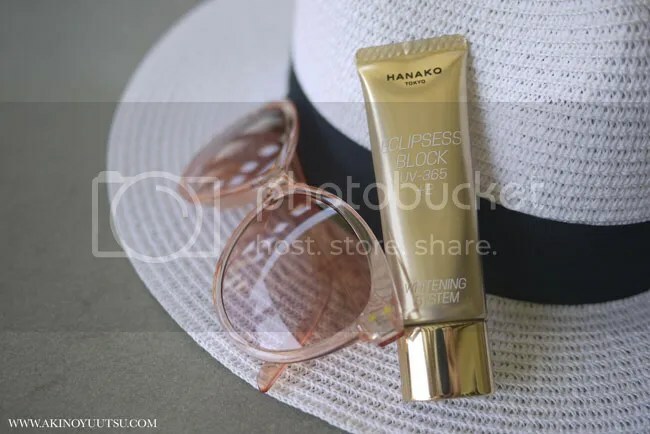 Hanako, basically means flower… flower girl… The company was established in 1991 and registered as HANAKO Cosmetics (Thailand) Company Limited. 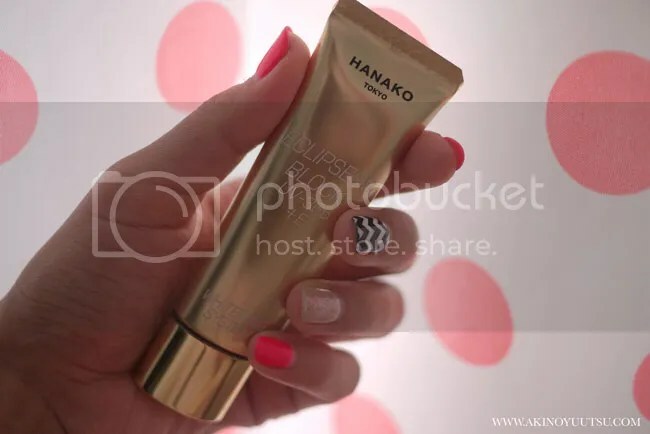 In 2005 Hanako Cosmetics (Thailand) Company Limited was converted the name into Hanako Tokyo (Thailand) Company Limited. 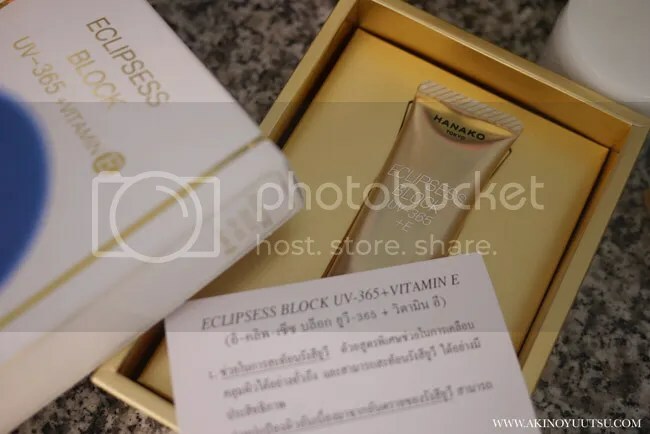 The firm is a joint venture between Thailand Japanese investors who recognized the cosmetics market potential in Thailand by distribution of grade A cosmetics produced with advanced technology from Japan. Each product is designed to best suit all Asian skin types and climate. The products are divided into 2 major categories: Skin Care & Make-Up. Honestly, I’ve heard about the brand for quite a while, coz it’s quite popular here in Thailand. The brand’s got like a big beauty spa and treatment facility right in the middle of the most popular area in Bangkok, call Siam Square, but this is the first time for me using their product. As you can guess from the name, pretty epic one, the product is Sun Block facial cream. 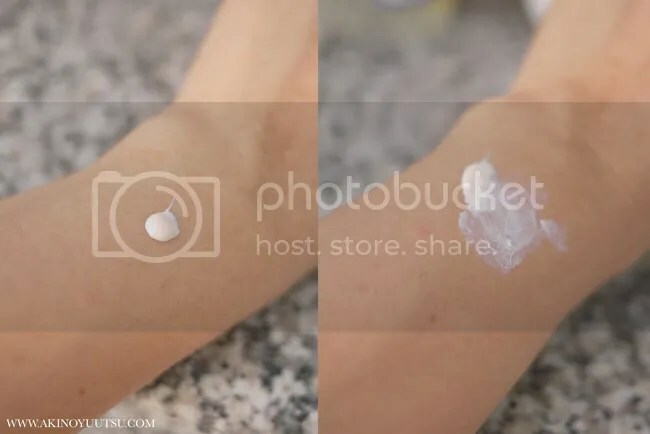 The product contains EXTRA-FINE TITANIUM DIOXIDE, which are the fine molecules that will efficiently cover your skin thoroughly, and will help reflect UV effectively. First of all, I hate sun block. It’s slimy, greasy, makes makeup clumps,… melts my makeup… etc. Hence I never used sun block. Trust me I’ve been through a lot of sun block cream and so far, all I have is a basket full of them beneath my makeup table. OMG! No kidding… now I’m already using this to replace my makeup base. (I use to use KISS’s base makeup). 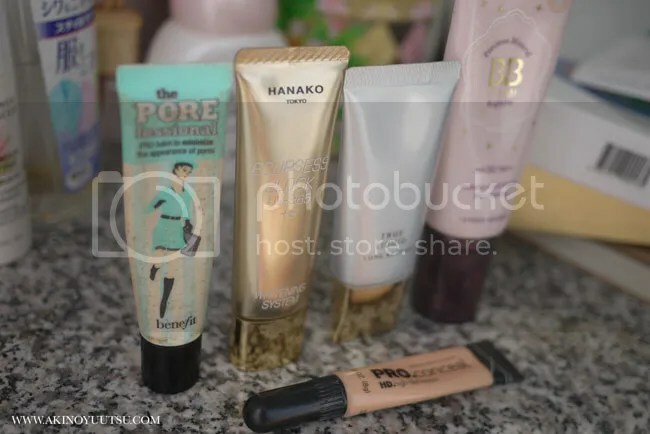 I use benefit’s “pore fessional”, then follow by HANAKO’s ECLIPSESS, then either the liquid foundation or BB (depending on how much coverage I want for that day). Finally the concealer and then powder. This have become my new daily makeup routine. As for the effectiveness as a Sun Block, I’ve tested it at Krabi (Thailand’s popular beach area) for 4 days. I would not over exaggerate that I didn’t tan at all, but the degree of tan is really slight. I still am able to use the same liquid foundation and BB without feeling that the color’s too light or anything. The great thing is that, this cream actually kept my makeup the whole day, even after swimming, kayaking and snorkeling! SRF100 is a number that signifies their new technology. Instead of absorbing, this technology will reflect the UV off. It also mean that the cream will protect your skin as long as it’s on it (unless you wash it out, of course). 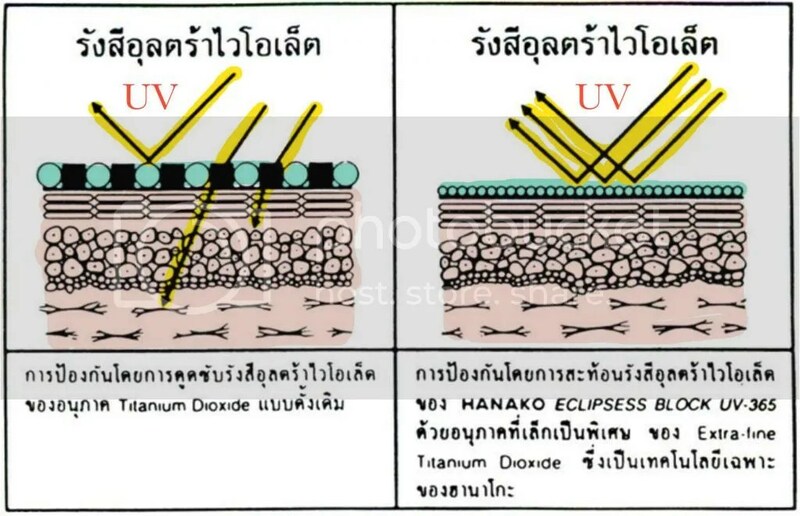 This is a new technology in HANAKO Eclipsess Block.